Partner in charge of the Public and Natural Resources Group. His practice focuses mainly in environment and sectorial permits, energy, land use planning, and the development of industrial projects. He also advises his clients in the solution of their controversies and their defense before ordinary and special courts in administrative matters. Prior to founding SCHULTZ CARRASCO he was Regional Director of the Environmental Assessment Agency and the Chief of the Litigation and Legal Department of the same agency until early 2014. Before that, he worked in the Ministry of the Environment and in Allende Bascuñán y Cía. Ltda. In 2010 he was a foreign lawyer at the Energy Group of Morgan Lewis & Bockius LLP, in Washington D.C., USA. Graduated from Pontificia Universidad Católica de Chile Law School in 2006. 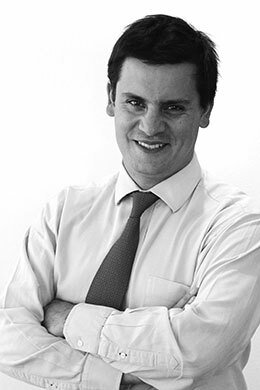 In 2009 he was awarded the Chilean–CONICYT Scholarship and in 2010 got a Master of Laws (LL.M.) from the University of California, Berkeley, with a specialization in Environmental Law. Lecturer at Pontificia Universidad Católica de Chile and Universidad del Desarrollo Law Schools. He has written over twenty articles in matters of his specialization which have been published in different journals. He is also the author of the book “El Régimen Jurídico de la Energía Nuclear en Chile” (Legal Regime of Nuclear Power in Chile, Thomson Reuter-Legal Publishing), 2013.